It’s time to buy new dining room furniture – Hurray! However, once you step foot in your favorite furniture store, the task can seem more daunting than exciting. Sure, there are a wide range of options, but that’s a wonderful thing. It’s proof that you’re only five simple steps away from choosing the perfect dining room table and chairs for your interior design. 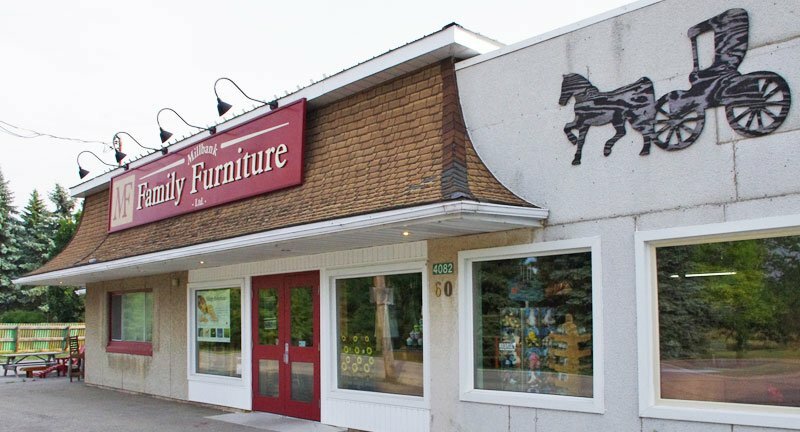 We recommend shopping at Millbank Family Furniture. Unlike the big box stores, we are a custom furniture store. This means that you aren’t locked into a particular set but, rather, you can mix-and-match the table, chairs and accessory pieces that suit your taste, style and comfort. Once you’ve decided on the style(s) you like, we can finish and upholster them to match your vision. There are all kinds of dimensions that matter when it comes to choosing your dining room furniture. First, you need to measure the room. Then, you need to include any perimeter furnishings such as hutches, buffets, plant stands, etc. Finally, you need to make sure there is enough room for yourself and guests to get into the chairs comfortably. Typically, we recommend you allow at least 36-inches between the edge of the table and the nearest wall or piece of furniture. Try sketching this out on a piece of graph paper and bring it with you; you’ll be glad you did. These days, it feels like anything goes. We see modern tables moved into historic homes, oversized rough-hewn farmhouse tables are placed into modern homes and traditional dining room tables work great in a transitional space. The point is that you need to love the way your table and chairs look. Consider which wood type will work with your décor (oak, maple, cherry, etc.) and remember that we can stain the wood. As we mentioned above, there’s no need to select a matching set. Pick a table you like and then pick a whole different set of chairs to go with it. You can even mix-and-match your chairs for a more interesting and eclectic look. Always spend a little time sitting and moving around in the chairs to make sure they’re comfortable enough for lengthy meals and extended socializing. Yes! Even dining room sets need a little accessorizing in the way of hutches, buffets, sideboards, curios and/or all of the above. Again, there’s no need to settle on a single set. Feel free so choose pieces that are complementary, even if they are technically different in style. Now that you’ve decided on the skeleton of your , it’s time to flesh it out using a stain that complements your interior décor as well as fabric for the upholstery. Our staff can help you select fabric in colors or patterns that work well together for a more varied aesthetic. See, that was easy, right? 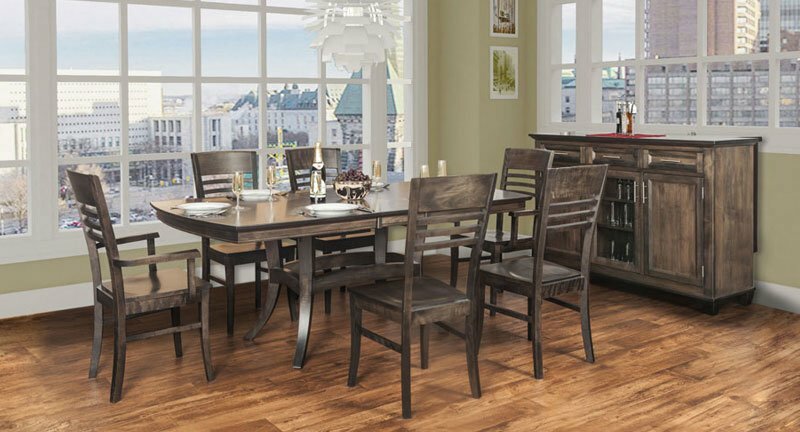 Now you’re ready to purchase your selections, have them customized to your tastes and begin enjoying a high-quality dining room furniture set that will please you, your family and guests for years to come. Come on down and visit Millbank Family Furniture so we can get started.